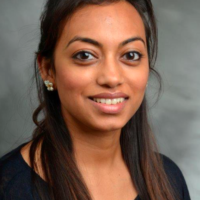 Dr. Pavitra Kotini-Shah graduated from Eastern Virginia Medical School in 2011. She completed her Emergency Medicine residency at William Beaumont Hospital, Michigan. She currently works as an Emergency Medicine physician in Chicago, Illinois. She also serves as an Assistant Professor and Assistant Director of Ultrasound and Resuscitation Fellowship at University of Illinois at Chicago. Dr. Kotini-Shah does research on cardiac strain, diastolic dysfunction, and use of ultrasound in sickle cell patients.